Vienna, c. 1880. Hand chased and hammered with soft finish. 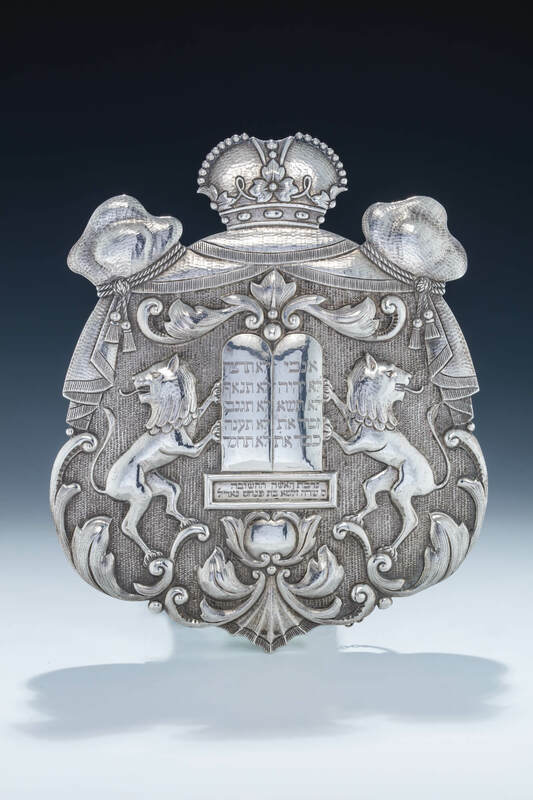 Decorated with two stylized lions flanking a decalogue under scrolling designs. Fitted with dedication plaque indicating donation from the important woman, sara zlatah, daughter of pinchas nadel. 12.5” tall.